Even though our mid-afternoon temperatures have been venturing into the non-freezing range, that was just temporary. We still have winter-ish temperatures with ice and hard packed snow on many roads. Looking at the picture below of the rear tire on the BMW, you can see that I procrastinated a little too long removing the non-carbide screw in studs. In the photo you can see the carbide tipped GripStuds as well as the ones that look like short wood screws with ¼" hex heads. The GripStuds are worn but not worn out. The heads of the screw in studs are a softer metal and simply wear down from contact with the asphalt. I'm planning to go to Dave's shop tomorrow which is at the end of a steep road with a steep driveway. We are meeting to do a tune-up on a '94 R100RT including balancing the carbs. The GripStuds work well on ice and the screws work well in packed snow so I like the combination of the two. The screws usually only last a couple of hundred miles and I think I have about double that on the old ones. I guess I may be able to grab the heads with some vice-grip pliers. Maybe later when I remove all of them from these tires. According to Mickey, the Ural Dealer in Delta Junction, all of my parts were shipped on Monday and should be here tomorrow or the early part of next week. I'm looking forward to start assembling the engine. Good news about your parts being inbound! Perhaps Kyle can shoot video as you assemble the engine? 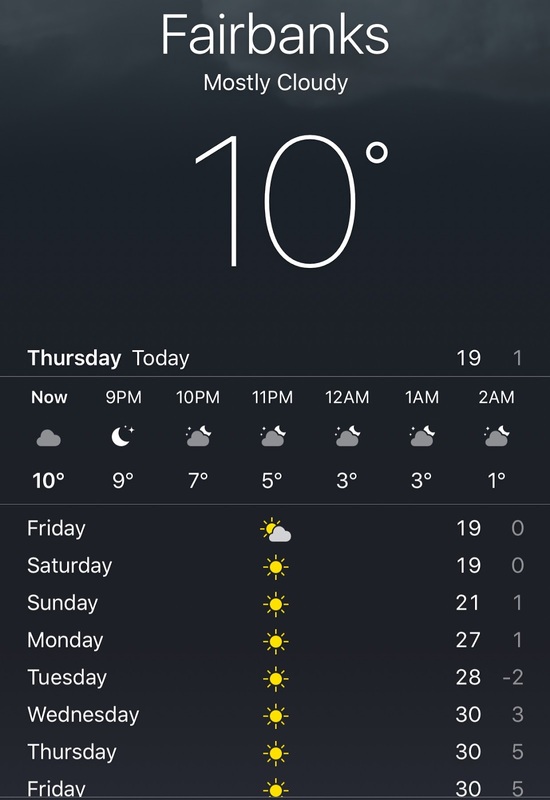 10 degrees, something tells me that isn't celsius either. While we've had our fair share of rain so far this year, we are now seeing all the trees bud up and even some are blossoming. Spring won't be too far off, it can't be, folks are already complaining of allergies.